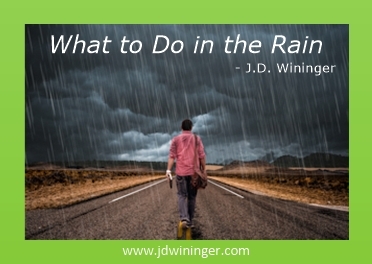 I know how important rain is to farmers and ranchers. Without it, we do nothing. With it, we sometimes do nothing. Since starting the Cross-Dubya in 2013, I understand the symbol P2. I call this “the Power of Too”; as in we always get too much or too little rain. P2 controls much of what we do on the ranch. Want to put out fertilizer this week? Too bad; there’s no rain for another fifteen days. Need to plant in the next seven days. Not a chance; fields are under two inches of water. Still, rain affords us time to repair things (inside) and prepare for the next outdoor task when the weather clears. There’s always something needing maintenance. On our little ranch, I average twelve oil changes per year. In that time frame, I grease about six hundred fifty zerks and recycle about thirty gallons of oil. How many of you knew that’s the proper name for a grease fitting? Now, for extra credit, who is its inventor? Sometimes I get lucky and it rains long enough to get some down-time. The question then becomes one of what do I do with it? When I can, I grab a nap or six to catch up on sleep. Other times, I read, write, or study. There’s always those “Honey Do” jobs Diane reminds me are still awaiting my attention. God created rain to help His creations grow. I wonder if He created rain so some of His hardest working creations, farmers and ranchers, could get a break. Rain gives me the opportunity to do many things. In fact, I’m writing this post while it pours outside. I gaze out my den window, watching raindrops create ripples in the large puddles dotting my front yard and two front pastures. I guess it could be worse; the weather man advised a chance of snow. When it rains, we are given an opportunity to prepare. We can prepare for more work or we can prepare our hearts and minds for some future challenge. In John 16:33, Jesus ensured His disciples “… in this world, you will have trouble.” Since God knows we will all face trials and tribulations in our lives, then doesn’t it make sense He gives us opportunities to prepare for them. When presented with the gift of a little down-time, I pray you’ll remember it’s a great opportunity to prepare to help yourself and others. Jim, I love the stories about your ranch and the insight into ranch life. The P2 concept is clever, and I didn’t knew zerk was even a word. Good to know for Scrabble games with my daughter! 🙂 — Great perspective of how “outside” troubles force us “inside” — literally and spiritually. Thanks for picking up on the “inside”-“outside” concept Ms. Karen. Sometimes I wonder if I get too creative with my writing ideas. I actually used zerk to win against my mother-in-law (the Scrabble Queen) years ago. She challenged it of course. God’s blessings ma’am. Oh, I’m liking this new word to add to my vocabulary – “zerk” …. and I just had to google it…. Oscar Zerkowitz, apparently? Thank you for the reminder to see the good in all circumstances and to make the most of every opportunity. Great lessons! Am glad I could help you learn a new word Ms. Julie. You win a prize ma’am. PM me your mailing address (only if comfortable doing so) and I’ll get something right out to you. Thank you for your kind comments my friend. God’s blessings. My hubby, raised on a small farm in Oregon, knew immediately what a zerk was, although he did not know the inventor. Yay for Mr. Houchin (smile). You don’t hear that word used much any longer. In fact, most new automobiles today are zerk-less (i.e. no grease fittings). From your Texas farm to our northern Wisconsin lake, a rainy day means a change of plans. My dad often held us boys off the lake if the rain was more of a storm, but a gentle rain, mmm, us boys would quick dig us some worms from under moms compost pile and pile into our boat and hit the ‘point’, the one spot where deep water rose up to a shelf at a point of land. Even in a gentle, or a not too gentle rain, we would tie into some big sunnies, crappies, or perch. wonderful memory of the rain and thanks. Oh boy does getting away and doing some fishing sound nice! It’s been too long since I’ve fished crappie or speckled perch. I have Cooper Lake State Park (a large reservoir) near my ranch and I never go. Our church does have several fish fries each year as our song leader (Mr. Charlie Steward) and others fish Cooper Lake quite often. Wonderful memories there Mr. Terry Palmer. Thank you so much for your comments sir. Fishing is a great way to spend a rainy day. Before we moved to Orange County and a normal life, I ran a horse boarding stable. And I know the pools, ruts, ponds in the mud. And rain boots sticking as I walked to feed. I REALLY mucked out stalls in the rain. Once, I was standing in a 4″ deep puddle trying to dig a trench to drain off some rain. It was pouring and my hair was soaking wet. I happened to raise up under the electric wire at the back end of the stall. ZAP! SPLASH! The second my hair met the wire contact was made for a mighty jolt and I found myself now SITTING in the mud. I shook my head, a bit dazed for a second… waded, with water now dripping from my jeans into my boots, to the switch to turn off the power until I finished trenching. Whew! Those days! Glad I now only set out buckets and barrels to catch the rain for my gardens and trees. Thanks so much Ms. Jackie. Yes ma’am. Those “hot wires” can really get you. Thank goodness there’s no amperage. Lots of voltage (8,000 Volts or more), but no amperage. Still “tingles” pretty good though doesn’t it. I have it along the western edge of my ranch, to dissuade the neighbors bull. I’m careless enough now and again to remind myself it’s there. Great memories of your horse boarding days ma’am. Horses are majestic animals aren’t they. As a farm girl, I’ve always enjoyed those rainy days. Not only is nature nourished, but so are we! Much needed rest (or time to write) occurs when we have extended periods of rain. Of course, like your ranch, our farm is now a sea of mud with both person and beast miring up to our knees. Of course it will be gone soon enough and the hot days of summer will bring dusty ground. My husband would have probably known what a zerk, is but he is asleep having been cutting wood most of the day. Wishing you blessings, my friend, both in the sunny and the rainy days! Yes ma’am Ms. Katherine; the “Power of Too” gets us all doesn’t it? I bet Mr. Pasour would certainly know what a zerk was. It was wonderful to see and hear your voice, and hear Mr. Pasour’s the other night during the Zoom meeting. Whenever God allows me to put a face with a name of friends, I feel truly blessed. What an honor it was to see God’s light in your eyes and your smile this week. I left the meeting feeling blessed having met so many writing friends for the first time in virtual person. God’s blessings ma’am; and may all your sweeps be clean (your hubby will understand this). Jim, I am reminded of Ps. 23 where our Shepherd “makes me lie down.” I think you are using your rainy days well! Yes ma’am Ms. Debbie. He knows our needs better than we know our desires doesn’t He. Thank you for your wonderful comments ma’am. God’s blessings.